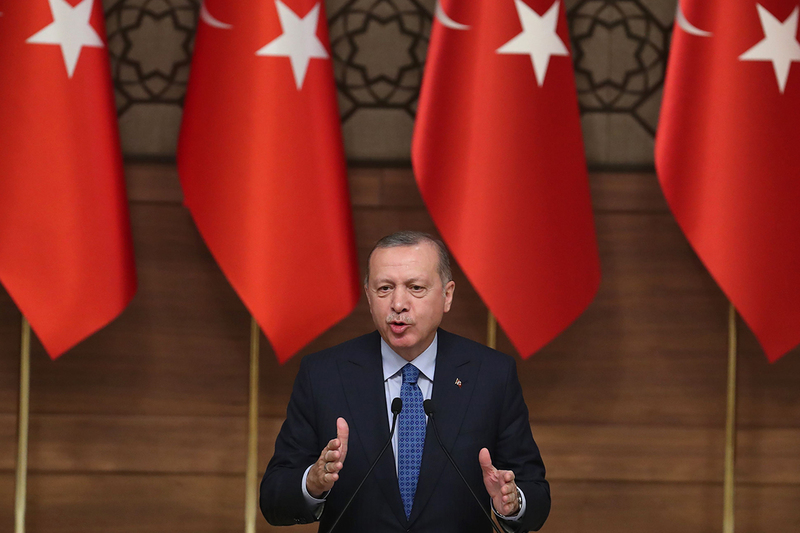 Recep Tayyip Erdogan, Turkey's authoritarian president since 2014, has been a significant contributor to two recent US foreign policy situations. In recent days, Erdogan has been a key figure in the US Controversy surrounding Trump's plans to withdraw US troops from Syria, and Trump believes he can leave the United States because the Turks are leaving Fight against the IS troops in the region will continue. Trump tweeted on Sunday: "I just had a long and productive call with Turkish President @RT_Erdogan, discussing ISIS, our mutual involvement in Syria and the slow and highly coordinated withdrawal of US troops from the region many years they come home and we also discussed the rapidly expanding trade. " Spump later added:" The Turkish President @RT_Erdogan has told me very strongly that he is leaving everything that is left of IS in Syria, … and he is a man who can do that and Turkey is right next door. Our troops are coming home! " However, critics of the Turkish government I have noted that Turkey is involved in the free hand in Syria as it seeks to destroy Kurdish-led forces that are also a force in the swamp of the Syrian guarantor Kurds have been fighting the Turkish government for years as part of their efforts to develop and protect an area called Kurdistan, which would encompass areas of Turkey, Syria, Iran and Iraq. "I am saddened by the many Kurds and others who are likely to be killed and slaughtered by the Syrians or the Turks," said Sen. Bob Corker (R-Tenn.) On Sunday, when he saw the consequences the withdrawal of the US from Syria on CNN's "State of the Union". In October, the Turkish government revealed the murder of journalist Jamal Khashoggi in the Saudi Arabian Consulate in Istanbul. The revelations came as the government of Erdogan monitored the consulate and was able to produce sound recordings showing that the Saudi government had lied about the killing of Khashoggi. The government of Erdogan is internationally widely criticized for its human rights record. "A continuing state of emergency is a backdrop to human rights violations," Amnesty International wrote in its 2017/18 report on Turkey. "The dissent has been suppressed with regard to journalists, political activists and human rights defenders." In 2017, during a visit to Erdogan in Washington, his bodyguards attacked demonstrators in front of the Turkish embassy on Massachusetts Avenue.